In micro-business, we are pausing bread making for now. This will allow us to make more candles and our newest product, lotion bars! But don’t worry, we will bring back the bread later this spring and will keep you posted. 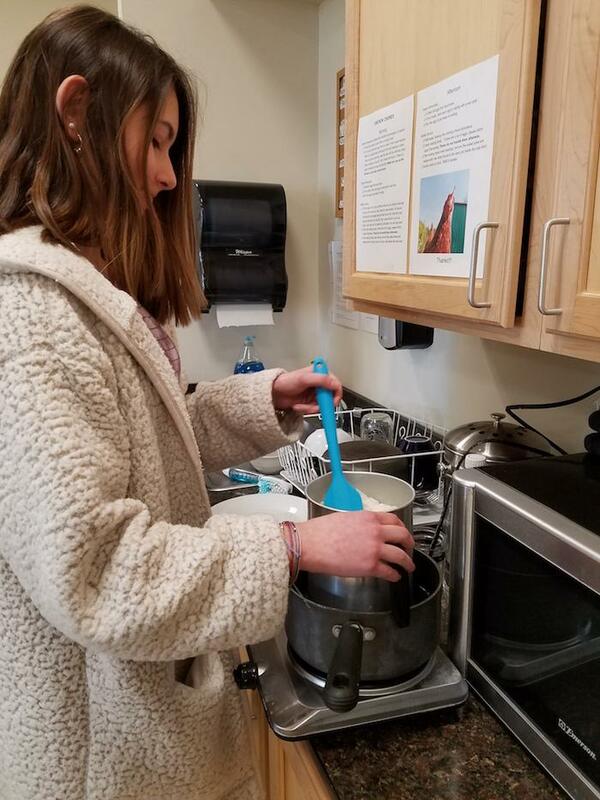 Mark your calendars because Narrow River Naturals will be a vendor at the Coastal Growers Farmers Market on April 6th to sell candles and lotion bars! We are excited to announce that we will be having a humanities block again! 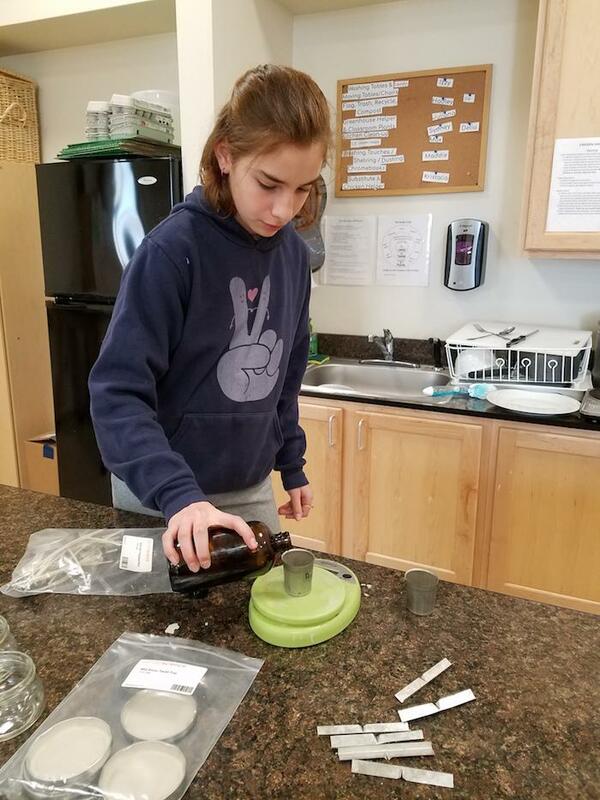 We would usually have science at this point, but we planned on learning about the Dominican Republic before the eighth graders trip there, so we will have another three weeks of humanities to study the Dominican Republic! But do not worry, we will not be having less science, we will instead have six weeks of science to balance it off following this humanities unit. On Friday, the middle school classroom will be going to see the play Peter Pan. Why? 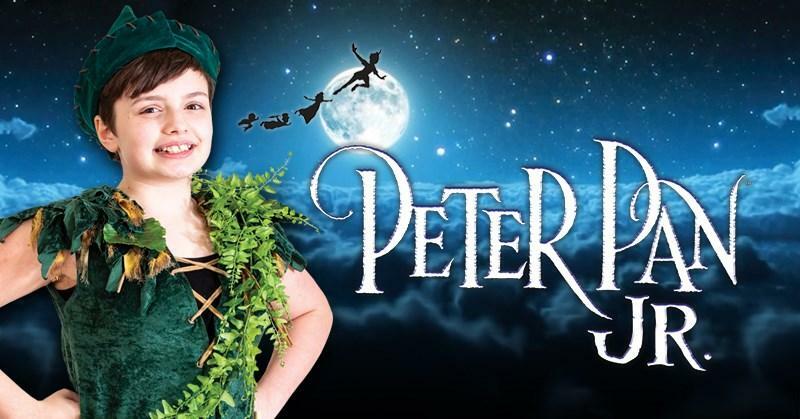 Because middle school student Lili is starring in it as Peter Pan! This is big news. She has been practicing for quite a while for her performances and is very happy we will be getting to go see her. Break a leg, Lili! The Middle School Classroom has some big news to announce. Of the 160 total entries, two Quest students earned an honorable mention in the Write Rhode Island competition! Congrats to Isabel and Delia! Isabel’s story is about a cross country meet and Delia’s is about horses. They are both amazing stories! 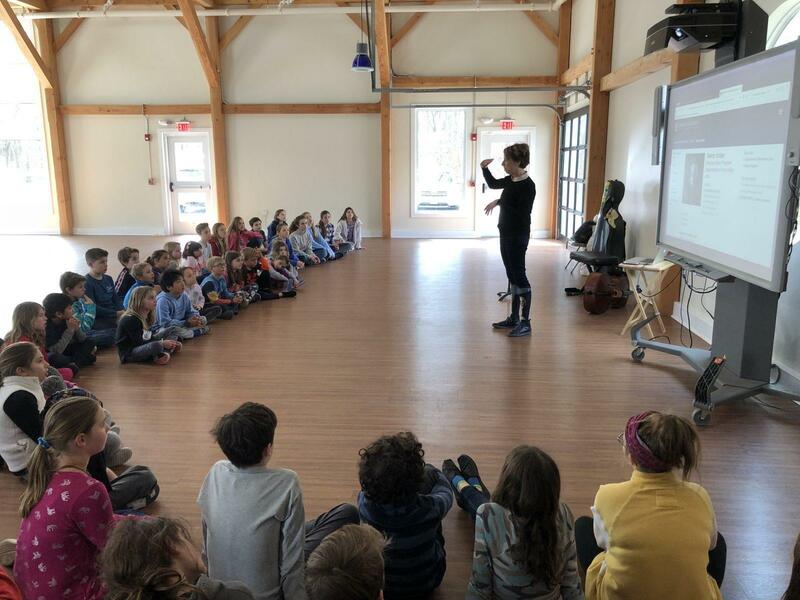 We can not wait to hear about the upcoming award ceremony and reception at the Newport Art Museum on April 7th. Write on! 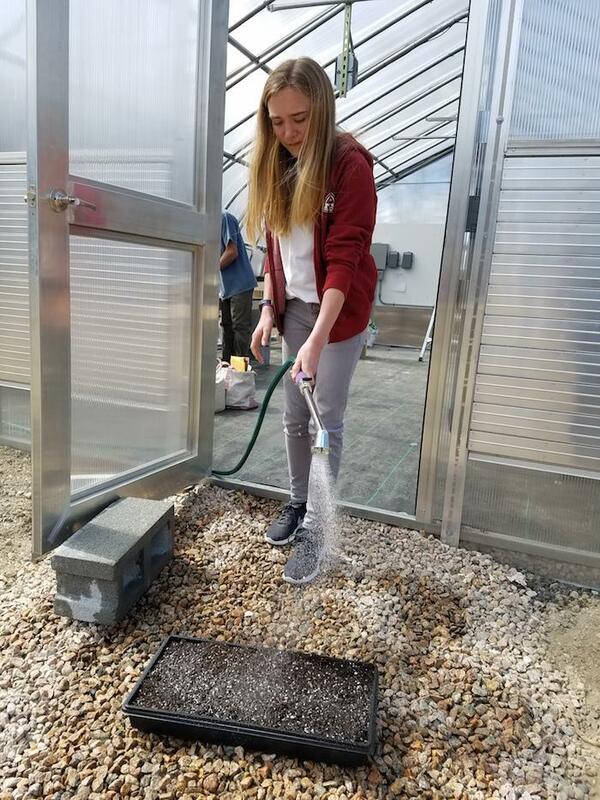 The Quest Middle School is happy to announce that the greenhouse is up and running! That’s right, plants are now growing in our beautiful greenhouse. 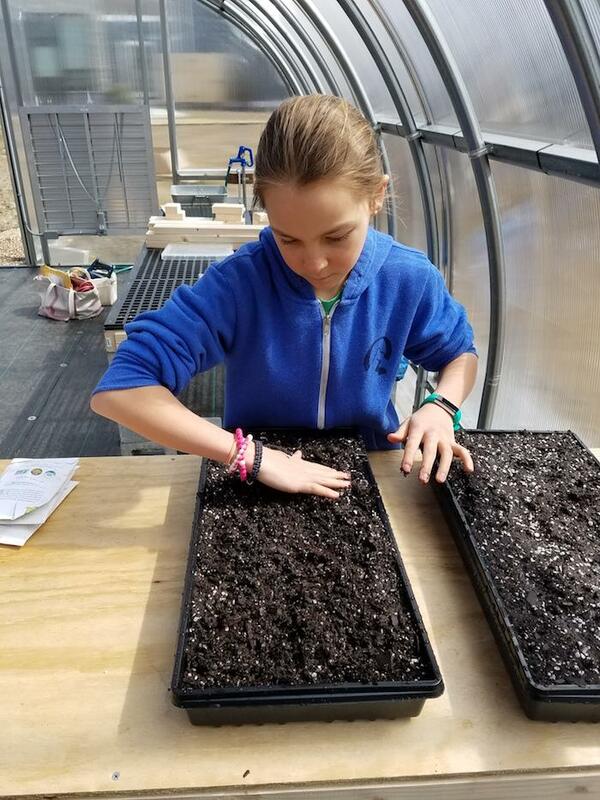 So far we have planted tulips, mild mix microgreens, spicy mix microgreens, and silk road mix microgreens. 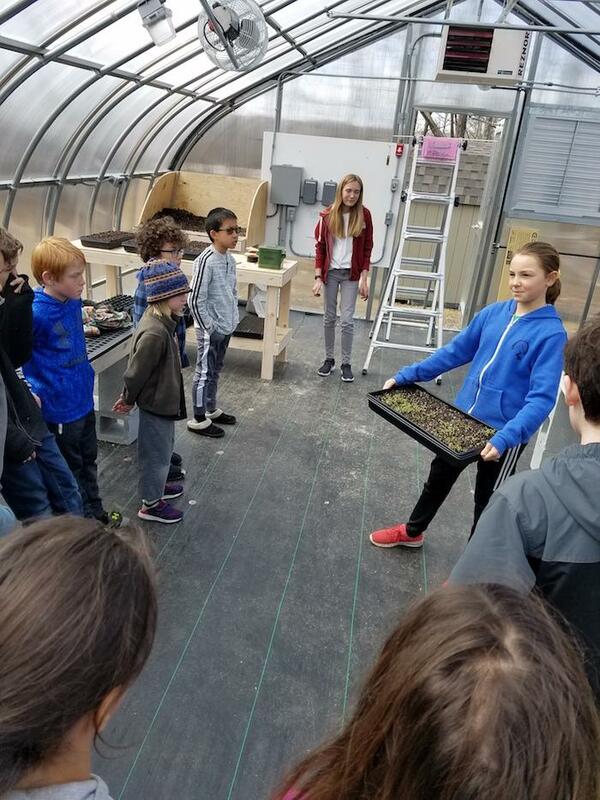 In addition, greenhouse managers Hadley and Ciel will organize the class to plant something new every Tuesday and Thursday during microbusiness thyme. 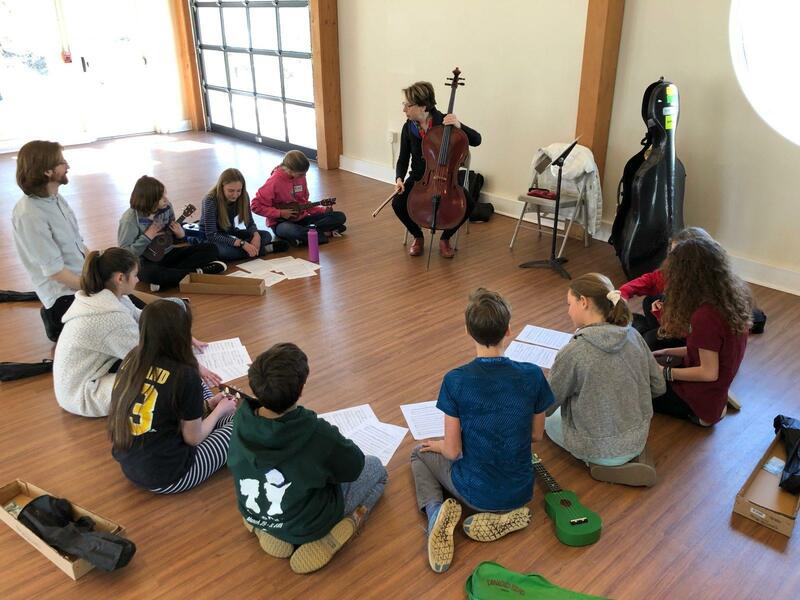 Quest was most fortunate to have Nancy Jo Snider, a well-known cellist and Director of Music at American University, visit us for three days this week. On Wednesday we met her and she played the compositions we had prepared for her to play. They all sounded beautiful! She also gave us feedback on what we could change in our musical pieces. On Thursday Nancy Jo Snider told the whole school about herself and how she taught Antonio. 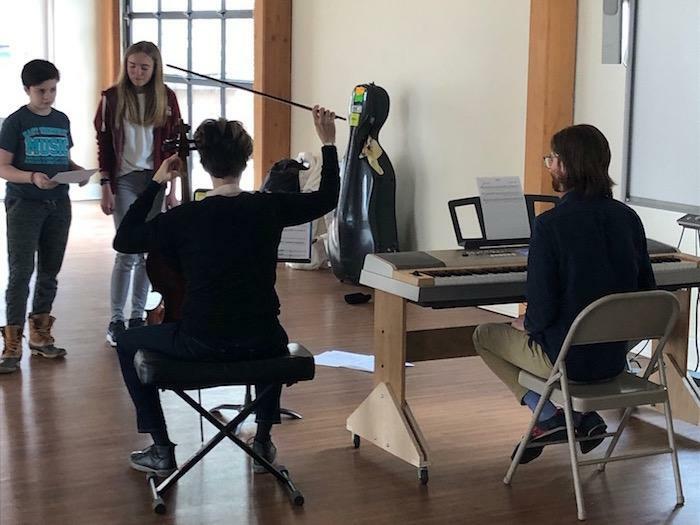 She also played a few very pretty pieces on the cello. Finally, on Friday she performed the pieces we had composed for the whole school. It was such a great privilege to have her come visit the small Quest community.